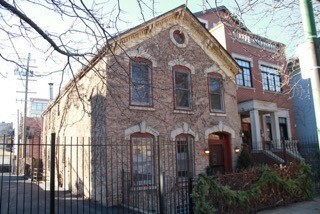 Coveted offering in Lincoln Park of this prime RT4 - 25x100 lot. Wonderful renovation opportunity or tear down and build your dream home. The home is livable and cozy but dated. Very special location featuring open southern exposure. Steps away from New City, shops, restaurants, entertainment and transportation. Across the street from Privet Playground. Oscar Mayer school district.